Caffeine is bad for children and there’s a warning on every can of energy drink that contains 150mg or more of caffeine per litre. Yet children still drink them. Sales of caffeinated energy drinks have grown rapidly since their ­introduction in the late 1990s. 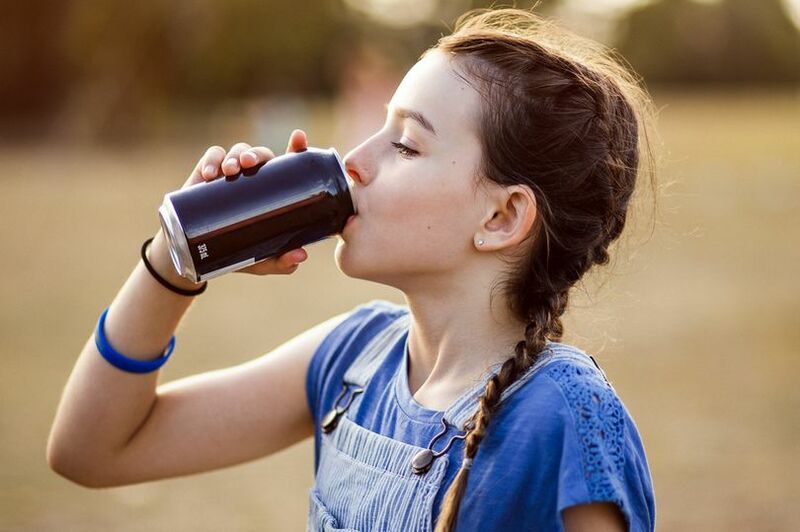 In a 2014 survey of around 5,000 children in England, one in seven of 11-15 year olds reported consuming them at least two to four times a week, and one in 20 of all young people ­said they had an energy drink every day. The problem is the imagery in energy drink advertising and drink names are likely to be highly attractive to younger children, even though the voluntary industry code expressly forbids this. That and low prices, as low as 10p per 100ml. The high sugar content in many energy drinks undoubtedly ­contributes to the obesity epidemic among our children. Almost worse, there are reports that young people with eating disorders use sugar-free caffeinated energy drinks because of their ­stimulant effects. And it’s the caffeine in energy drinks we should be worried about. It’s ­probably the most commonly used psychoactive drug across the world; it increases activity and heightens ­attention and awareness. Surprisingly little is known about the safety profile of caffeine. Real concerns exist about the effects of caffeine even at the small doses deemed safe for the cardiovascular system. Evidence is emerging that consumption of caffeinated energy drinks among children and young people is linked to anxiety, depression, thrill seeking, poor decision making, and increased hyperactivity and inattention. Perhaps most concerning are the effects on sleep – the higher the intake of caffeinated drinks the poorer the duration and quality of sleep. As a BMJ editorial says, for our young people, in the middle of an apparent epidemic of mental health problems and low energy, energy drinks can appear to be a cheap and quick fix for fatigue and worries in life. Yet high caffeine intake leads to fatigue and increased anxiety. We’re designed to get energy from a good diet, sound sleep, exercise and from our social relationships. A consultation on whether the age limit for buying energy drinks should be 16 or 18 has closed, and we’re waiting on the outcome.